First pictures emerge of the PS3 Slim? So this little gem of a rumour has been floating around for quite some time now. So has the rumour now finally become a reality? Apparently not. Even though there has been an abundant amount of pictures released of what is supposedly the new PS3 Slim, all of them are, sorry to say, fakes. 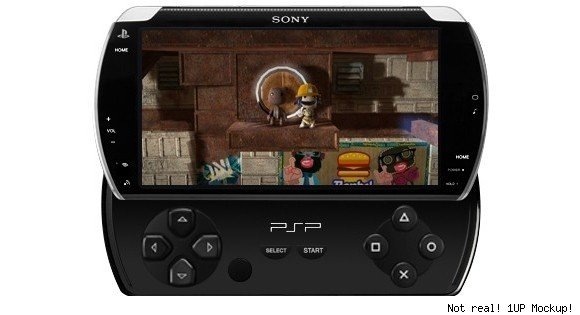 Alongside them are the rumours of other new Sony time-stealers, like the new PSP, which Sony apparently named: Go! Okay, I’m sorry, I have to go on about that one quickly. GO! Really Sony? Society is really gonna start thinking us gamers are a bunch of mentally handicapped Tourette’s patients. I mean, first the Wii and now the Go. Are you kidding me? Hey John, what you gonna do tonight? O, me and my girlfriend we’re just gonna play a little Wiiiiiiiiiiii. Um. Okay, John. You guys have fun and don’t forget your drool cup. Really? Anyway, Sony has declined that such hardware is being produced but they have denied things before which turned out to be true. So once again we will sit idly by and roll our shoulders in our own little shroud of mysteries. Thanks Sony! You guys are greatâ€¦! Next article Who is the man of conviction?